Swirlds builds consensus on its distributed network protocol through what is called "gossip about gossip" to build a hashgraph, an alternative data structure to blockchain. 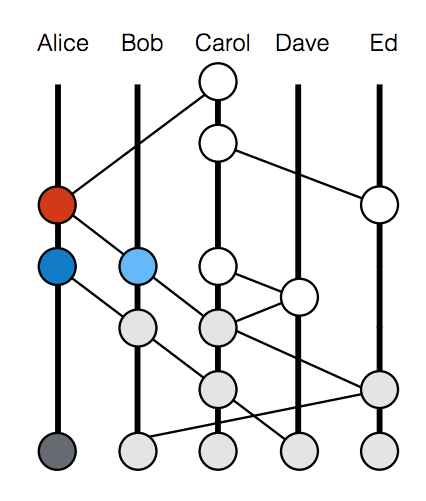 Time ordering and consensus is created in Swirlds through virtual voting based on the previous state of the hashgraph network and information about how individuals would have voted based on the gossip they know about. 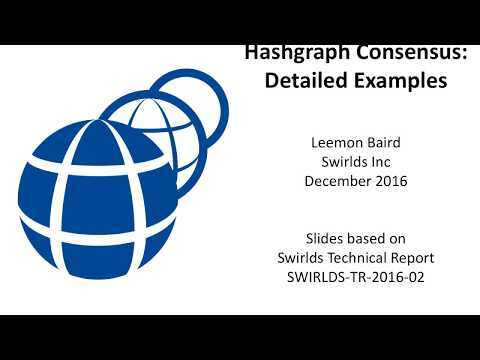 The Swirlds whitepaper provides a variety of proofs on the consensus properties of the hashgraph data structure and virtual voting mechanisms. Apps built on the Swirlds platform define the voting stake of each member through various mechanisms, Swirlds suggests a variety of approaches including proof of stake, proof of work, proof of burn, or hybrid approaches. 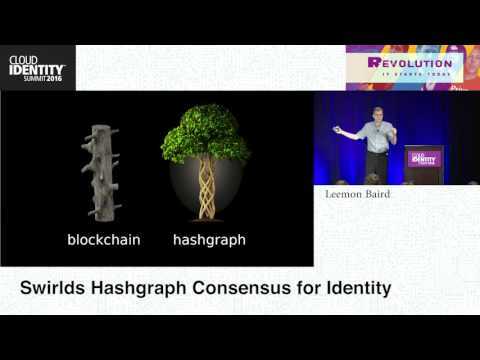 Leemon Baird presented the hashgraph algorithm at Cloud Identity Summit in 2016. IOTA is a distributed ledger technology based on a structure called the "tangle". It was developed to enable decentralized transactions for the internet of things. Nano, formerly RaiBlocks, is a cryptocurrency designed with a directed acyclic graph block-lattice architecture using a delegated Proof-of-Stake (PoS) consensus.